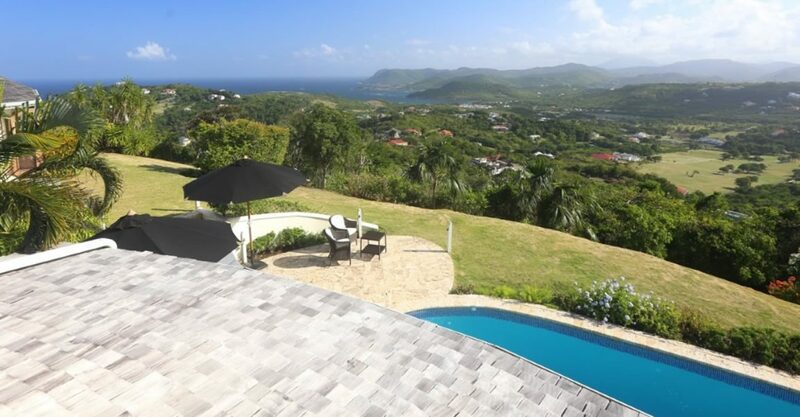 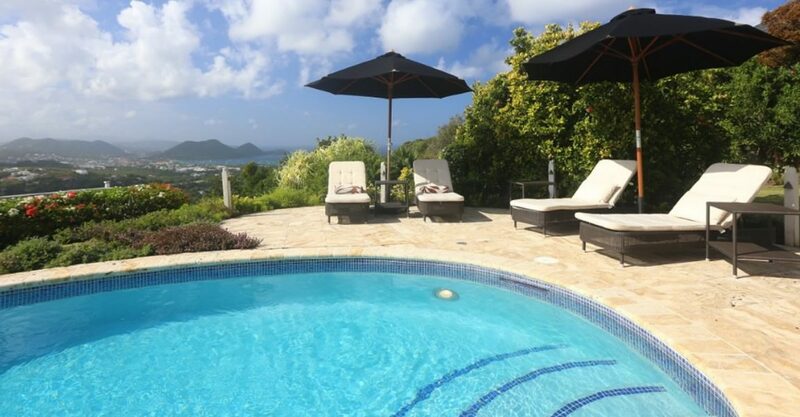 3 bedroom luxury villa for sale in St Lucia within a boutique community offering breathtaking views from the highest point in Cap Estate. 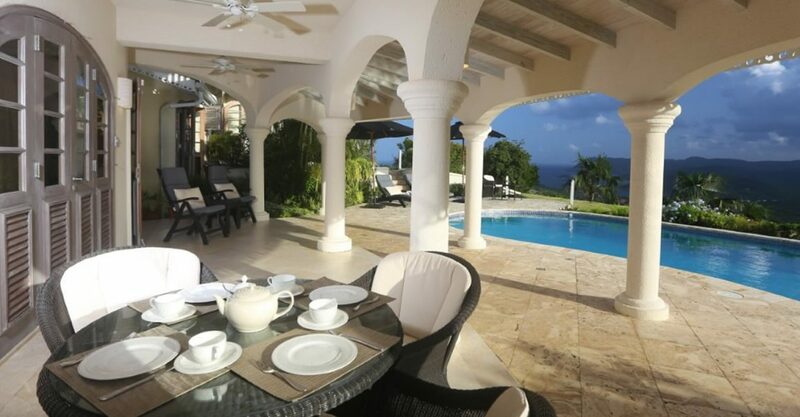 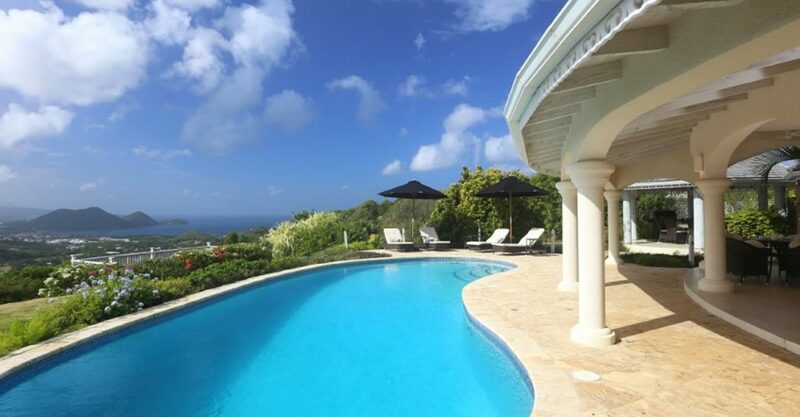 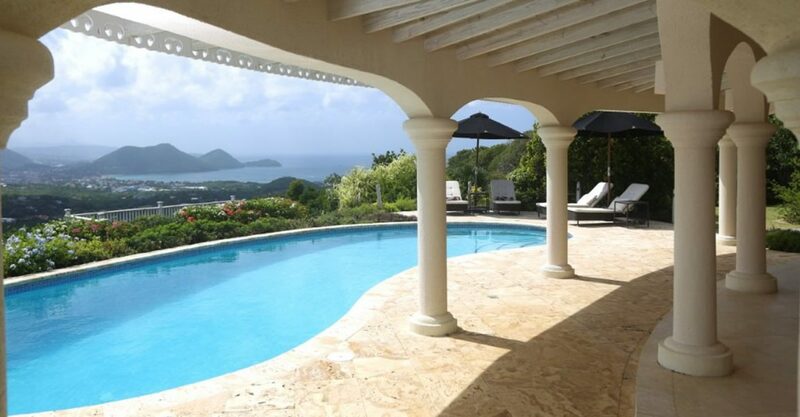 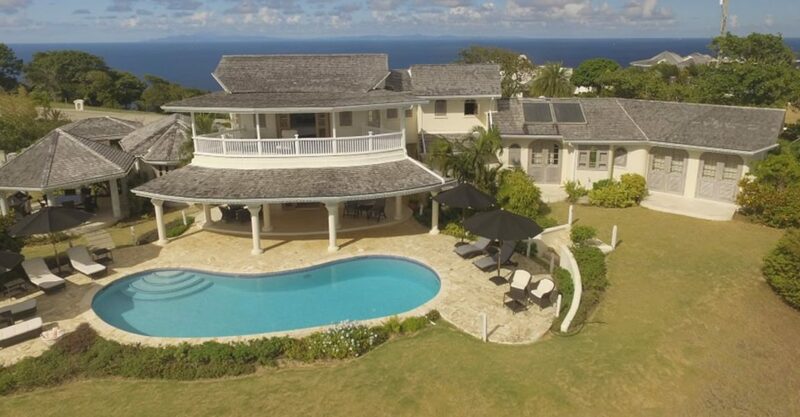 This luxury villa is located within a boutique community offering breathtaking views from the highest point in prestigious Cap Estate in the north of St Lucia. 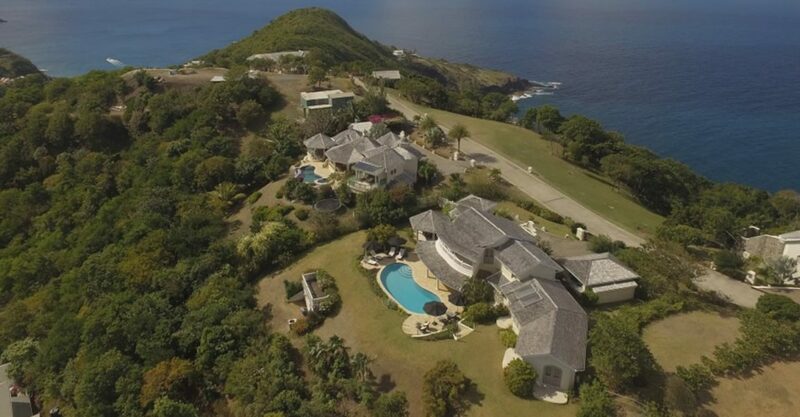 The villa is situated within a highly exclusive, secluded and private development of just 16 bespoke luxury homes set on 38 acres of grounds offering breathtaking views across the northern coast towards the neighboring island of Martinique. 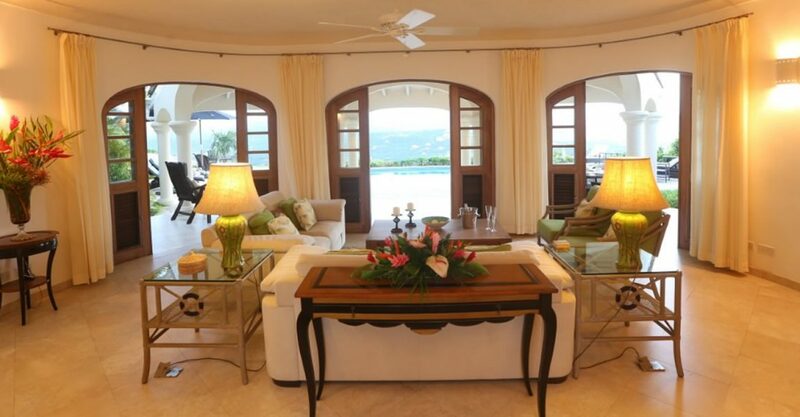 Each of the homes within the development is designed in a stunning architectural style exuding classical elegance. 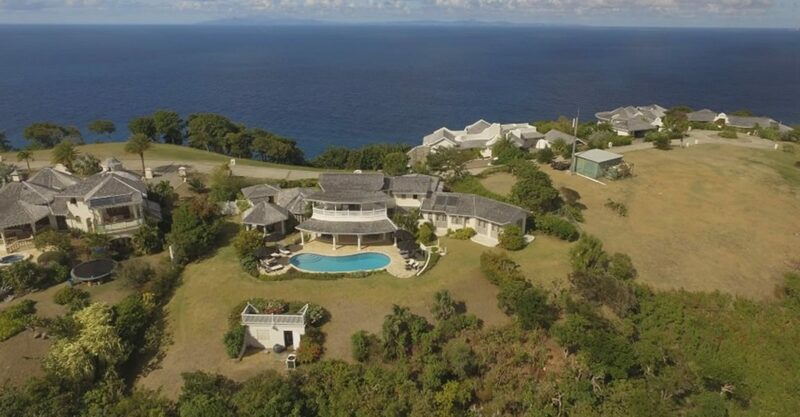 This property is set on over three quarters of an acre of grounds and features 4,000 square feet of luxurious living space with curved walls, fluid lines and windows showcasing the jaw-dropping views. 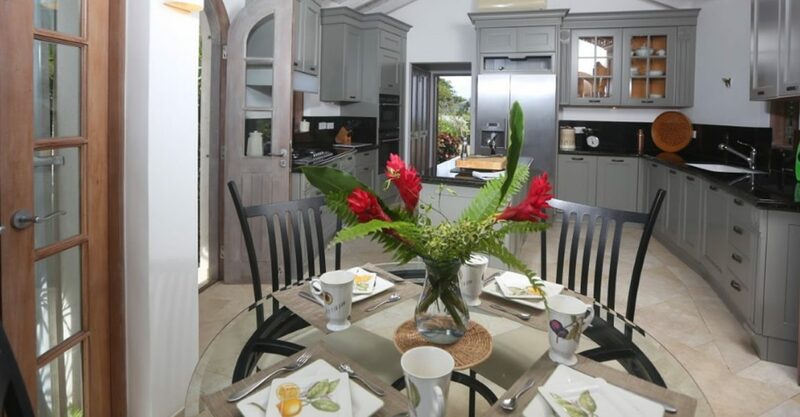 The interior features a spacious salon, dining area and an impressive kitchen with black granite countertops and breakfast nook. 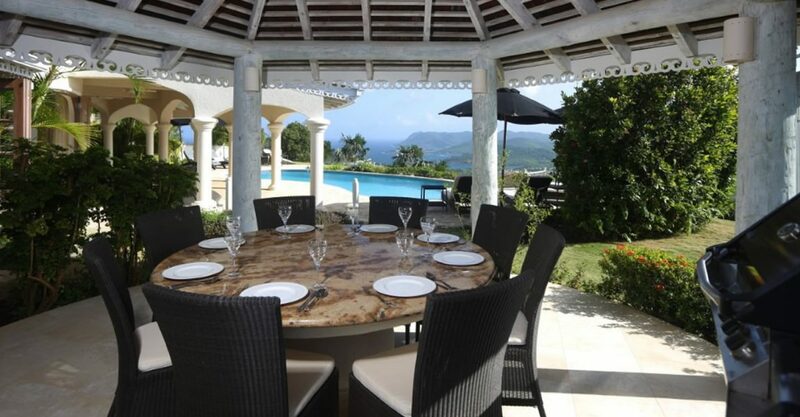 Three sets of solid wood and glass French doors from salon lead out to a covered terrace with shaded outdoor dining area, a forty foot heated saltwater swimming pool surrounded by a coral stone sun deck, hexagonal dining gazebo with outdoor kitchen and gently sloping gardens offering stunning views. 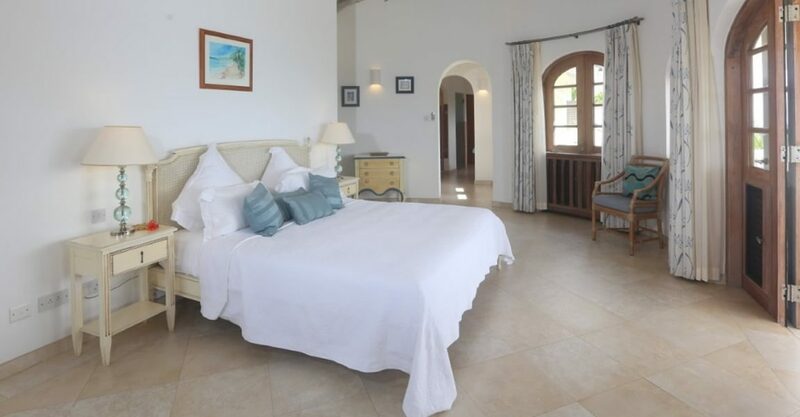 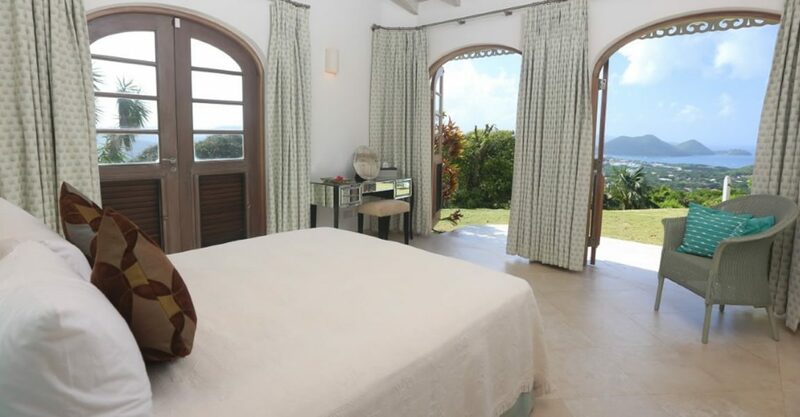 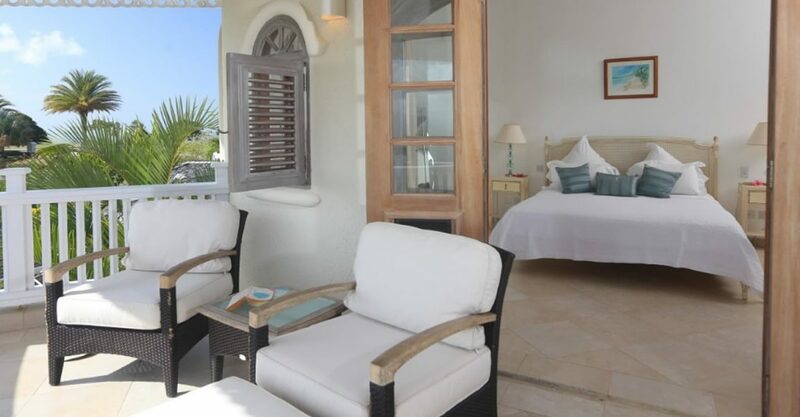 The villa offers 3 bedrooms and 3.5 bathrooms, including a wonderful master bedroom suite with private balcony, walk in closets and Jacuzzi tub and 2 guest bedrooms both with Carrera marble en suite bathrooms. 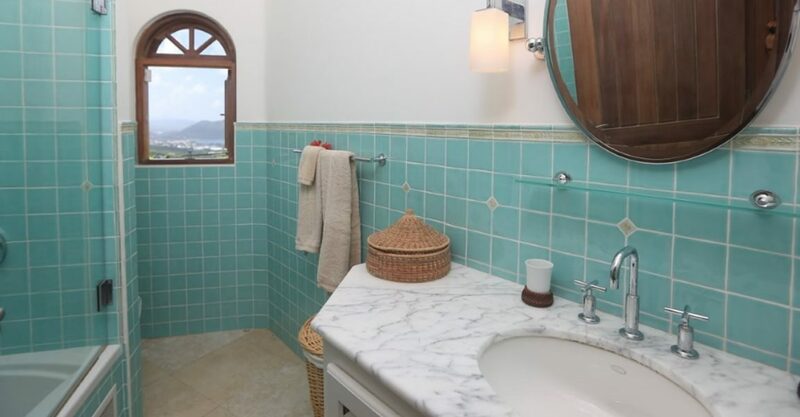 There is also a private study. 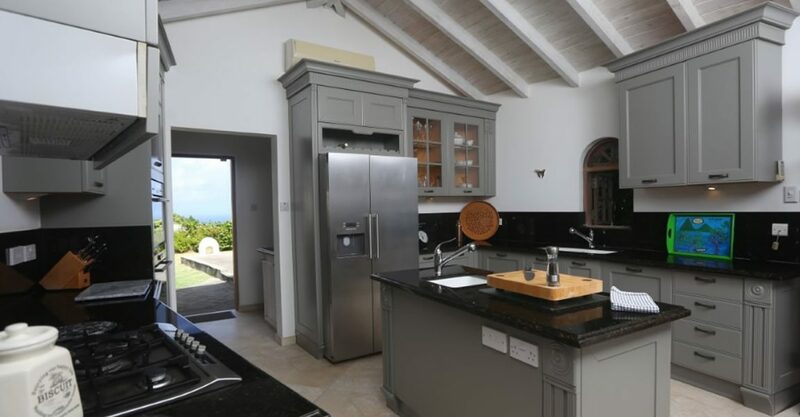 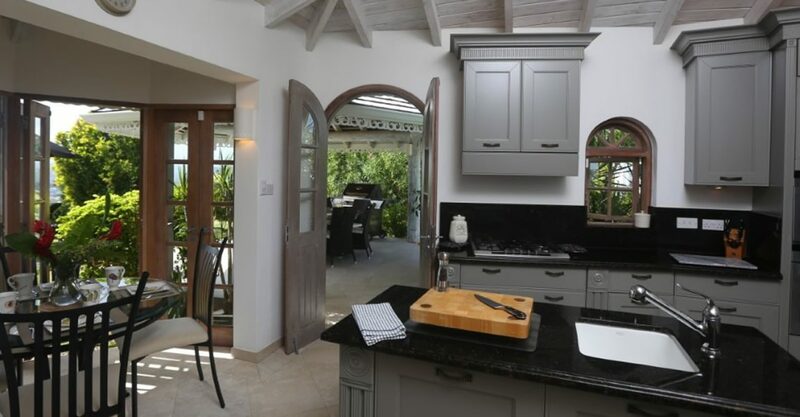 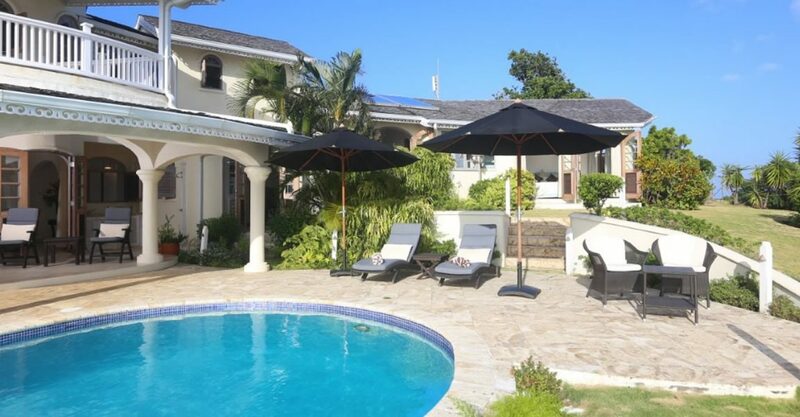 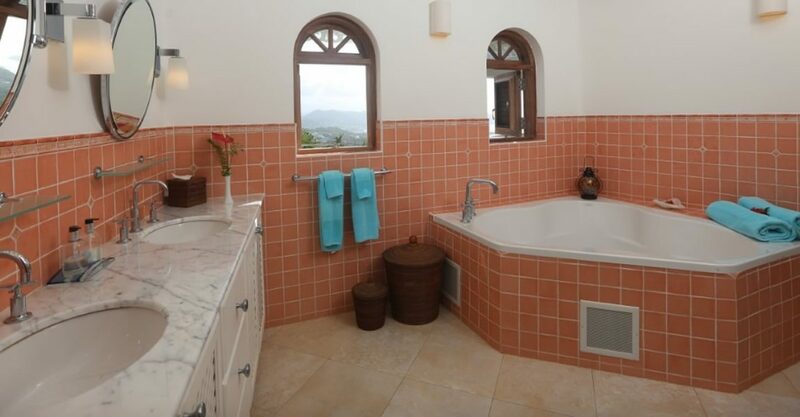 Beautifully finished throughout with cool marble floor tiles, exposed rafters and whitewashed cathedral ceilings, this is one of the most elegant villas for sale in St Lucia. 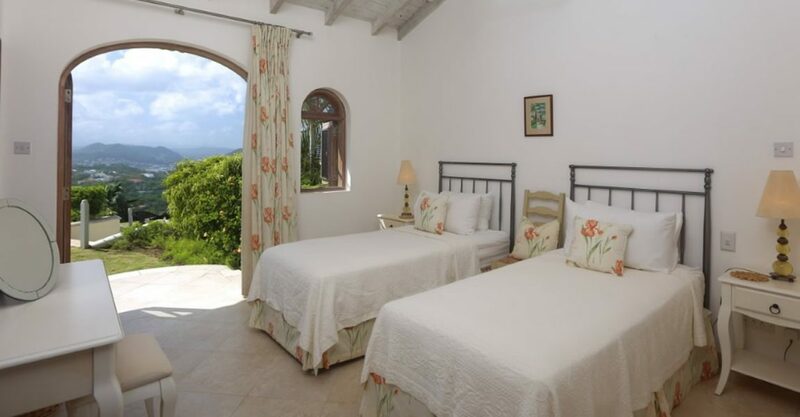 The property comes equipped with hurricane shutters throughout, air-conditioning in the bedrooms and kitchen, solar heating and excellent water storage with pump for house and pool.